Feeling Lucky?! 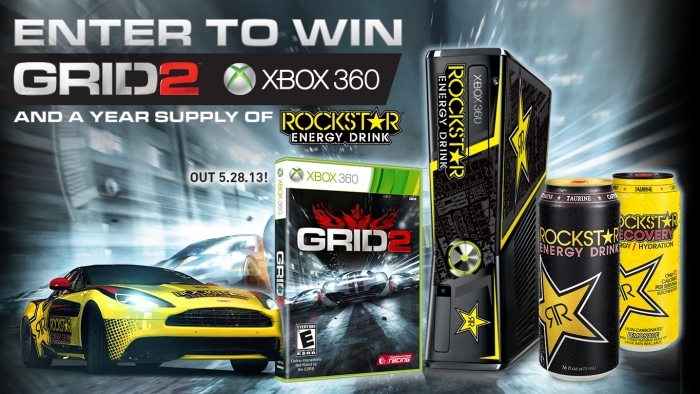 Rockstar and GRID 2 are hooking up one lucky grand prize winner with a Rockstar customized Xbox 360 console, a copy of the GRID 2 Game for Xbox 360, PLUS a year supply of Rockstar! !